The Potentiam ICO aims to raise funds for the implementation of a music creation, collaboration, licensing and distribution platform based on the Ethereum blockchain. The Potentiam Core has three primary functions, namely as a secure social network, an online production studio and a tool for managing their personal catalogs. Through these tools, performers and composers will the opportunity to have more control over their intellectual property, as well as greater profits than they would otherwise earn through traditional channels. These parties, as well as producers, will also have access to promote themselves and to discover and reach out to other industry players for collaborations and transactions. Potentiam already has over 5,000 artists interested in joining their platform. Potentiam, through its Potentiam Core platform, hopes to create a space where users can promote, manage and negotiate themselves and their skills on their own terms by means of providing them with the necessary tools online. For instance, composers and performers can now reach out to each other, form smart contracts based on the terms that they both agree to, and then collaborate and record their music on the platform itself. Once it is complete, the music will appear on the relevant catalog or catalogs, with all parties automatically receiving revenue based on the copyright shares outlined in the smart contract. Other platform users will be able to review catalogs and can request licenses to use the performer’s content for their projects. Both parties will then form a smart contract with terms outlined and agreed upon by both parties. Once the license is issued, the performer will automatically receive the agreed upon royalties. Likewise, composers can also record their content on the online platform and post it on their catalog for other users for review and transaction. This platform aims to restructure the current model of the music industry by removing the power and profits from the hands of major conglomerates and retuning it to the hands of the creators. Currently, artists only receive around 29% of profits from live shows and possibly 10% of overall revenue. Users will be charged 10-15% of their revenue for use of the platform, as opposed to the generally high fees mentioned above. Potentiam plans on creating a monitored portal which will allow for artists to also form off-platform licensing and distribution smart contracts with existing digital service providers (DSPs) such as Spotify and iTunes. Users will be able to lease their content to manufacturers of physical content based on smart contracts outlining the specific number of copies to be distributed. Royalties would similarly be paid out automatically via the smart contract. User can also lease out their content for synchronization with visual content such as video clips, computer games and television ops by specifying synchronization and master licenses terms in a smart contract. Potentiam seeks to form agreements with broadcasting agencies to agree to pay royalties in exchange for access to the users’ catalogues and use of their recordings. These will be conducted through their Public Performance Licensing Module, which will also be responsible for the charging, collection and distribution of royalties from these broadcast agencies. Booking agents, and club and venue owners can also pay to have access to the platform, where they can negotiate terms via smart contracts with the users in exchange for their live performances. Users can also launch crowdfunding campaigns to raise funds for them to launch their own label or products, or to simply purchase the necessary equipment that they require to produce their music. Potentiam also hosts an online music magazine site called Potentiam Classic which aims to promote its musicians and composers to a wider audience. 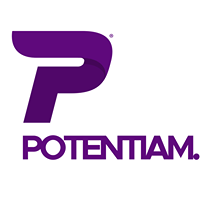 Potentiam Token (PTM) – is an ERC20-compatible token that acts as the platform’s mode of exchange and remuneration. Clout Token (CLT) – This token serves as a reward to content readers for their ratings of platform users. These ratings will then influence the public positioning of the artists on the platform, as well as the rewards of extra PTM that those users will earn from the Potentiam platform for securing their high rankings. Initial purchases of PTM can be made during the Potentiam ICO Pre- and Main sales.